She graduated from the Dental School of Aristotle University of Thessaloniki in 2010 and from the Military School of Officer Corps, SSAS. 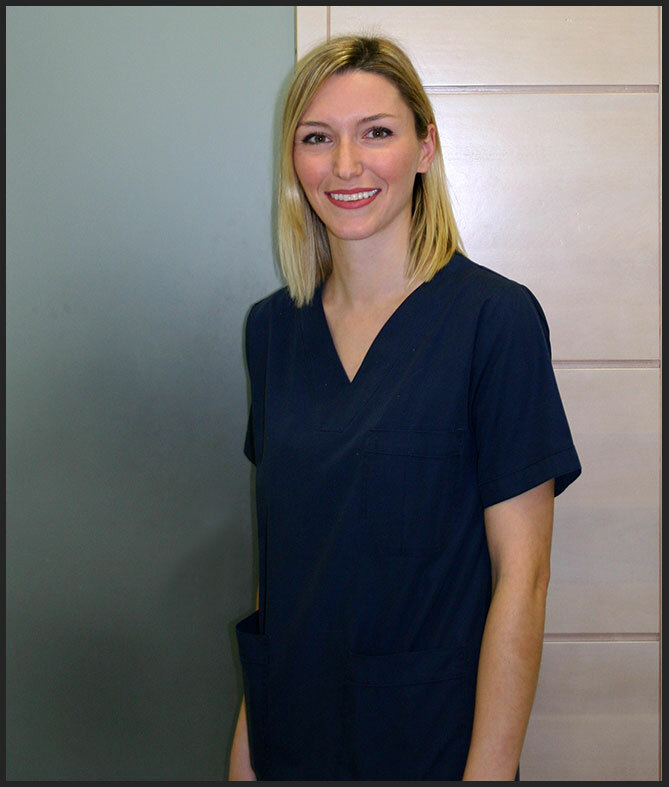 In 2010-2011, she worked in the Dental Division of 401 Military Hospital of Athens in the dental treatment, oral surgery, periodontics and prosthetics departments. From 2011 until today, she has been working in the 2/39 Evzonon Regiment, Messologi as a dentist. She has participated in numerous seminars and conferences.